One of the largest company names worldwide, Virgin also has an iron in the casino industry fire. Known as Virgin Games, it is one of the largest UK-based online casinos and offers a full instant-play online casino. The casino is operated by Nozee Limited and a licence is held in Gibraltar whilst the casino is also regulated by the UK Gambling Commission. Established in 2004, the site has advanced into a major part of the Virgin Games network. 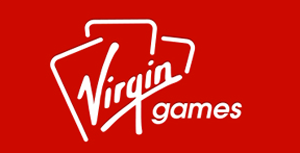 January 2013 saw further advancement when the Virgin group selected the Gamesys group to operate the new Virgin Games website. The casino focuses on looking after its customer base and has obtained exemplary standards in player protection and responsibility, as demonstrated by being awarded the GamCare Certification for Remote Gambling. Virgin Games has a game selection that rivals its competitors. Games from a dozen different software providers including NetEnt, WMS and Gamesys are all available the casino. Some of the most popular titles include King of Slots, Reel Rush and Secrets of the Phoenix slot. Table players have a good selection to choose from as well, with multiple versions of roulette and blackjack as well as baccarat, craps and keno. Video Poker plays also have access to a good selection, including Pai Gow Poker, Joker Poker and Caribbean Stud. There’s also a specialised Bingo section in the casino. Quality is not compromised at Virgin Games, with a number of high-class software developers available and used. The casino is available on both smartphone and tablet devices, allowing players to enjoy their favourite games whilst on the move. Mobile slots are available with titles including Double Bubble, Deal or No Deal and Spartacus, whilst there are also table games including Blackjack and Roulette. Players who make a deposit of £10 can get 30 free spins. The casino also offers a daily free game where players can win cash prizes and Free Spins. There are regular offers of cashback available through games as well as monthly and seasonal offers. Players can deposit money on Virgin using the standard payment methods. Visa, MasterCard, Maestro, PayPal and Skrill are all accepted payment options in the casino. Considering that Virgin is one of the largest corporations in the UK, it’s unsurprising that they have stringent security protocols. The casino uses an SSL encryption which protects all sensitive data. All games in the casino are regularly audited by a third party. There’s information regarding the results of the audits in the FAQ section on the website. Virgin Games has some of the best customer support on the market. Players can contact support representatives through various methods 24/7. The vast majority of enquiries can be dealt with through the live chat feature on the casino website. Players can also contact the casino directly via the UK Freephone number or by sending an email to the casino. There is also a comprehensive FAQ section.